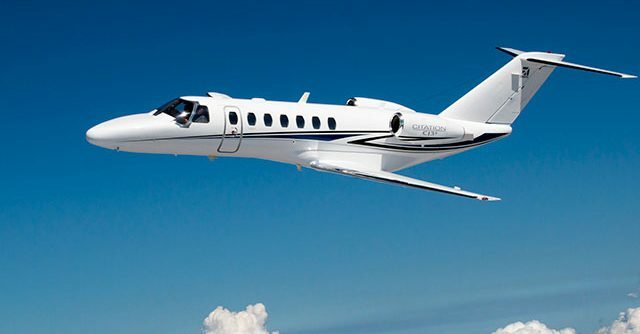 Cessna’s Citation CJ3+ is a light jet that offers powerful performance with consistent reliability on every flight. With room for up to seven passengers and a pilot-focused flight deck, the Citation CJ3+ is one of Cessna’s most popular aircraft. 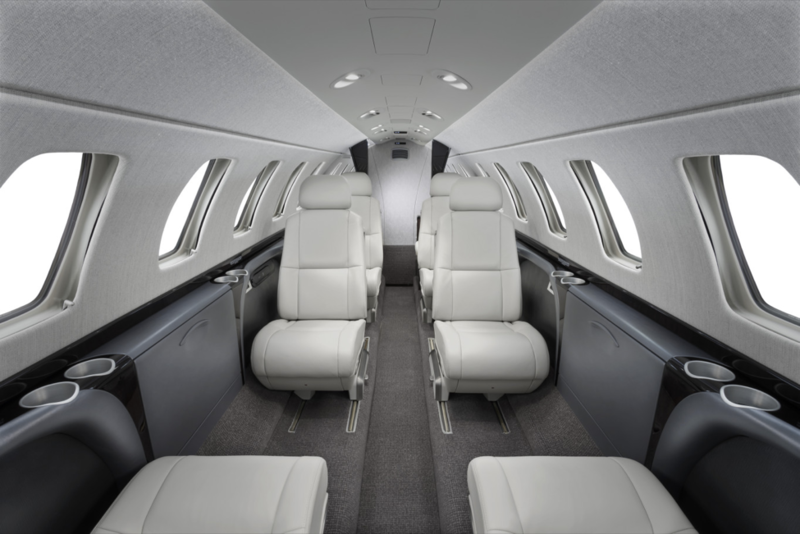 With almost 16 feet in cabin length, the Citation CJ3+’s interior has room for both work and relaxation. The standard configuration features adjustable seating for six passengers in a center club arrangement with two executive tables. A second side-facing seat option is also available and allows for seven passengers instead of just six. 14 windows span the cabin and offer plenty of natural light and travelers can easily stay connected through wireless cabin technology that is custom fitted for the Citation line. Additionally, the baggage capacity can hold up to 1,000 pounds of luggage, an impressive feat of a jet its size. Cruising at a maximum speed of 416 ktas, the CJ3+ has a range of 2,040 nautical miles. With only 3,180 feet required for takeoff field length, the CJ3+ can utilize many airports that larger jets cannot. The CJ3+ has an upgraded flight deck powered by Garmin G3000. 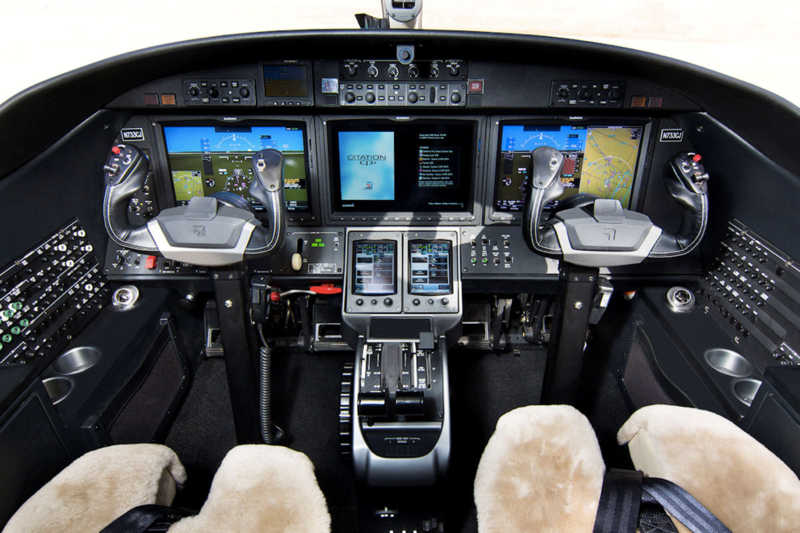 Features such as touch screen controls and large displays help decrease pilot workload and increase pilot awareness. The system is also equipped with a weather and terrain avoidance radar system and a fully digital dual channel autopilot system. The CJ3+ is so easy to fly that it is single pilot certified. 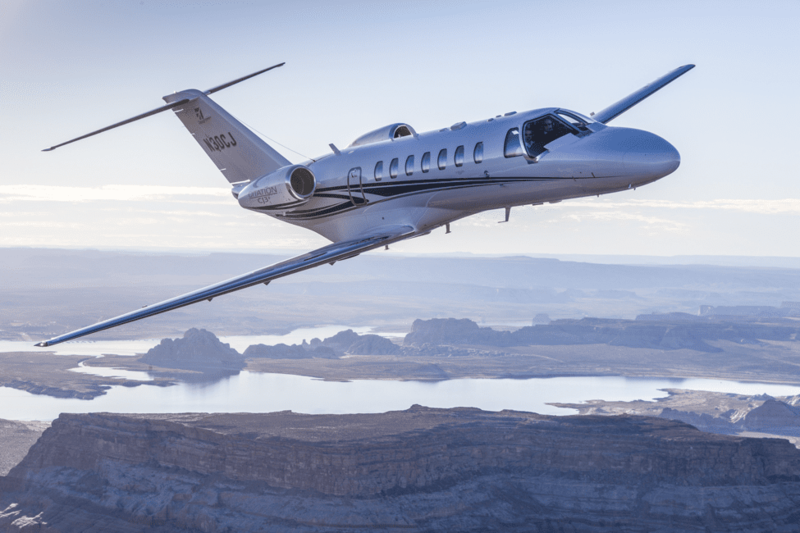 With its dependable performance and impressive ability to provide seamless travel, the Citation CJ3+ is an ideal light jet that evokes confidence and supreme comfort.